Appetizers & Dinner From $7 - $18. Our great times at Circa Tabac continue... The club has been made to feel extremely welcome by our friends at Circa Tabac and I cannot express enough how much we appreciate that. So, let's be sure to extend our thanks to the management, our new friend Lee, as you enter and especially make sure that we take care of our servers when settling our tabs. 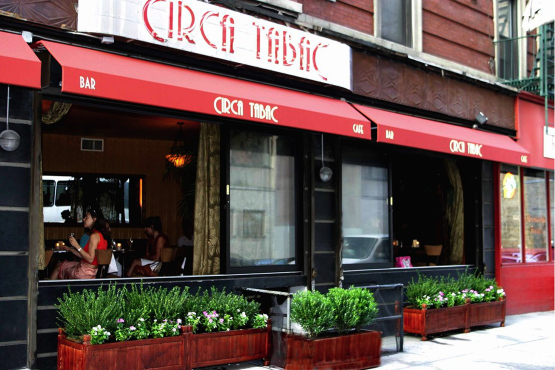 Circa Tabac is smoke friendly, offers light fare, fine drink and comfortable lounge seating. If you have any questions, call Lou anytime at (347) 886-9784. It's that time of year again! Please join or renew your membership now!You can bring cash and checks to the next meeting, and we accept all major credit cards via the website. When you renew, we'd appreciate it if you could please take a moment to update your personal information, such as email, telephone number and address.We're going to have a great 2014! 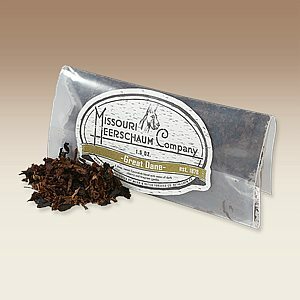 I encourage you to please join us at our August Meeting where you will have opportunity to sample all 4 of the new Missouri Meerschaum Corn Cob Blends, blended by master tobacco blender, and good friend of the club, Russ Oullette. More about that below, read on! Our BBQ/Picnic was a complete success!!! The New York Pipe Club 2014 Summer BBQ/Picnic which took place on Saturday, July 12th, was a huge success!!! Once again our own beloved member Hank Saatchi graciously hosted our annual pipe club BBQ get-together at his home in East Brunswick, New Jersey. And this year we enjoyed a day of wonderful weather!Yes, in spite of the high temperatures and bright sunshine – no thunder storms this year, thankfully, approximately 20-25 of us had a fantastic day! This year we had two large tent canopies which provided a respite from the blazing sunshine and hot temps! We want to take this opportunity to thank our beloved member Hank, for hosting the event once again and we extend our appreciation for his gracious hospitality. If you never had some of Hank's world famous BBQ, then this is your opportunity! Hank's marinated steaks and ribs were out of this world; marinated in his secret recipe, of course! 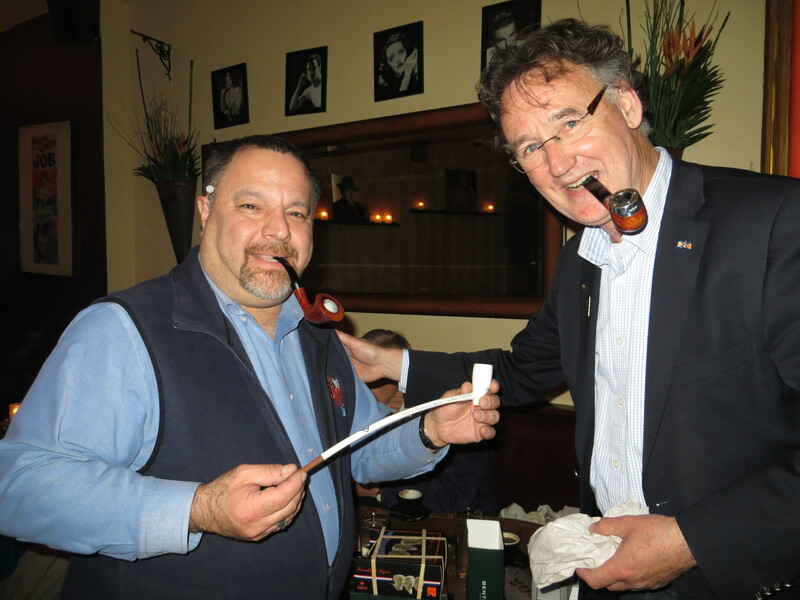 We also wish to thank friend John Besante for allowing us the opportunity to sample some aged mystery tobaccos which was enjoyed by all. Thank you once again, John for your generosity in sharing those wonderful vintage blends with the gang! 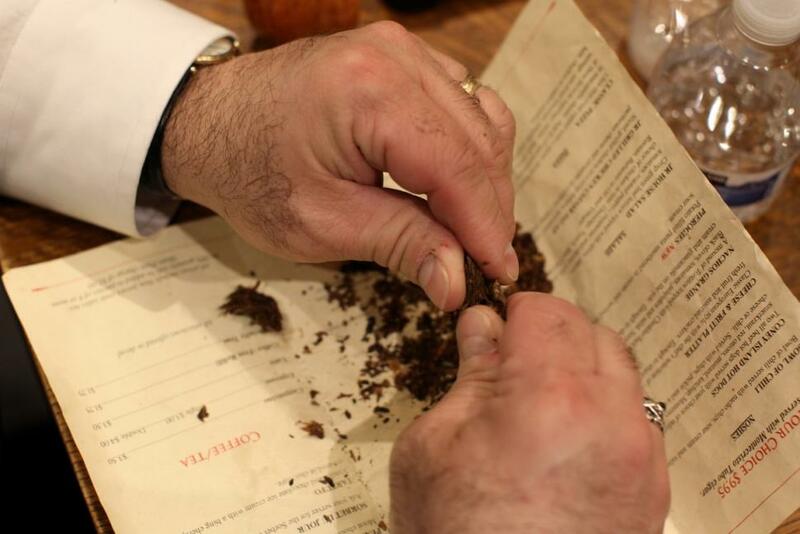 I’d also like to thank the new members and new friends who joined us this year, as well as all those who so graciously shared their tobaccos with us. Your contribution and generosity made for a fantastic day! The "official" Picnic Cobs, the new Mark Twain in both straight and bent versions from Missouri Meerschaum, were well received, did us proud and were immediately put to fire as there was no shortage of fine tobaccos to be sampled. Speaking of tobacco, special thanks go out to our friends at pipesandcigars.com, Eric, Trish and of course Russ in helping to provide both the cobs and the tobacco. 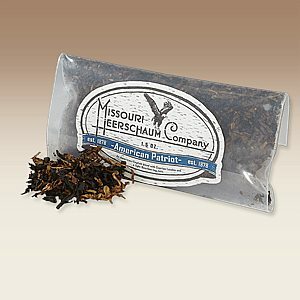 So, to complement the new Mark Twain Corn Cob pipes, this years tobacco offerings consisted of the 4 new Missouri Meerschaum Corn Cob Blends, blended by master tobacco blender, and good friend of the club, Russ Oullette. These blends debuted at the 2014 Chicago Pipe Show and were a huge success. To those of you who came out to make this years event as great as it was, I cannot thank you enough! Thanks also to our beloved member Hank, for hosting the event once again and we extend our appreciation for his gracious hospitality. If you were unable to make it out this year please make a point to come out and join us next year!!! You won't be disappointed that you came. Pictures of this event are now available for your viewing pleasure in the Photos section of our website and Club Facebook page. Be sure to join us next year. Free food, free 'baccy, a free cob - who wouldn't want to attend? You may have missed the BBQ/Picnic, all of Hank’s delicious steak and ribs, but you can still smoke the tobacco! 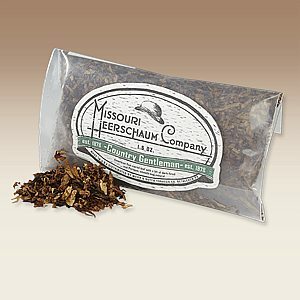 That's right, grab your favorite corn cobs and come on out and join us at the August meeting where you will have opportunity to sample all 4 of the new Missouri Meerschaum Corn Cob Blends, blended by master tobacco blender, and good friend of the club, Russ Oullette. So, you haven’t heard of those blends?Then you'll just have to come out and join us to find out. Sample some of these soon to be storied blends - and next time make it point to join us for our annual BBQ/Picnic, you’ll be glad you did!!! 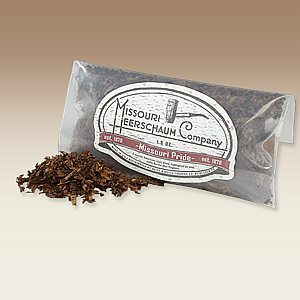 Here's more about the 4 new Missouri Meerschaum Corn Cob Blends, blended by master tobacco blender, and friend of the club, Russ Oullette. These blends debuted at the 2014 Chicago Pipe Show and were a huge success. These four blends will be waiting for you to sample at our August Meeting! Well, on Tues. July 15th, our friend Boris Grossman of Matador Cigars in Roslyn, L.I., invited us all to his wonderful cigar lounge, where we had the opportunity to spend the afternoon and evening with Frank Cervone (many of you remember Frank from NYC) and of course the guest of honor, our old buddy, Steve Monjure of Monjure International! Of course many of you know Steve from the NY Pipe Shows and all of the many other shows Steve attends and supports throughout the year. It was great seeing and spending time with Steve, we don't get to see him enough. Thanks again to Boris and to Frank for the invitation, and to those who came out to welcome Steve to the NY area, we had a really great evening! 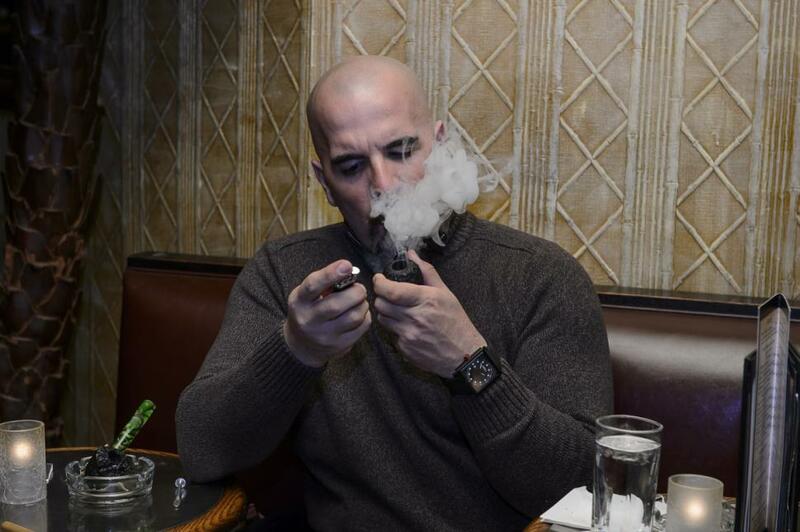 Please join my in congratulating our friend, Boris Grossman on the Grand Opening of a second Matador Cigars Lounge! Boris has branched out further east from his successful Roslyn location and opened an new lounge located in Massapequa Park, Long Island convenient for our East End members but not too far for a visit from us City dwellers! Matador Cigars, located in Massapequa Park! Be sure to pay Boris a visit at his new location, I guarantee you will have a great time! 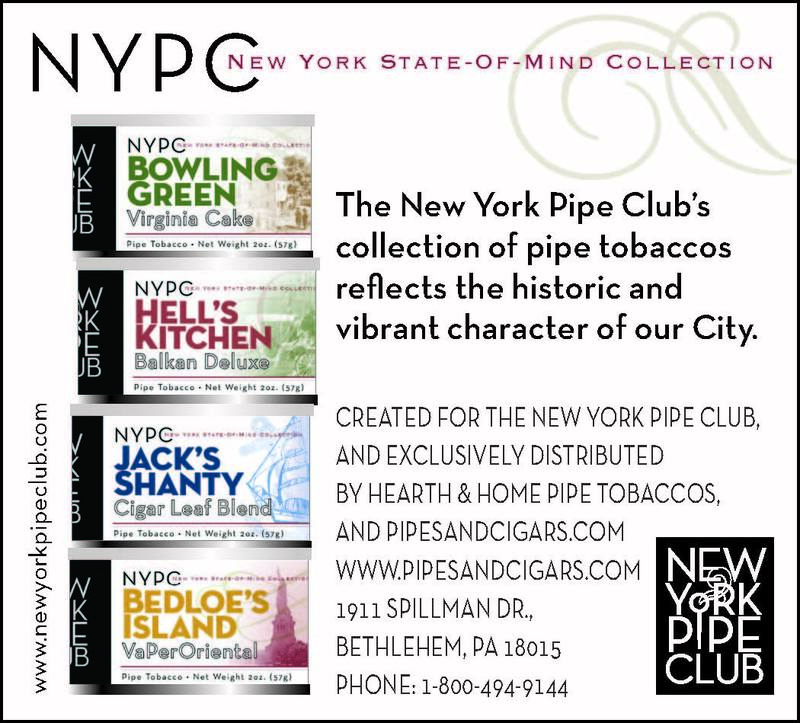 Please be sure to visit our website's News and Articles sections for some new and important messages such as the announcement of the returnto the shelves of our NYPC NY State of Mind Tobacco Collection, the NY Daily News Feature Article about the NY Pipe Club, the NY Pipe Club Annual Picnic-BBQ, the NYPC's "Smoke on the Water", outdoor smokes gatherings on the Hudson and East Rivers, and the December Holiday "Kaywoodie Event".As always, please see the NEWS section on our club website and visit our Club's Facebook page for breaking news and important updates and details. Also, we're considering a 2014 NYPC POY to be made available to us as a limited run - we'll need a minimum of 10 commitments to actually see the project get off the ground. The maker will be PS Studio, carvers working under the watchful eye and in conjunction with Russia's great pipe carver, Vladimir Grechukhin! No commitments are necessary right now, I'm simply letting you know that this might be happening. Soon I'll be offering up some shape charts for your perusal and a request for your opinion on shape selection. Full details to follow so stay tuned...! IF YOU PAID DUES TO LOU AT THE KAYWOODIE EVENT, PLEASE CONTACT HIM AT YOUR EARLIEST CONVENIENCE - THANK YOU! Also, A LIGHTER WAS FOUND AT THE IPSD CELEBRATION AT NAT SHERMAN'S. IF YOU THINK YOU LOST A LIGHTER, PLEASE CONTACT LOU. Just a quick word to let you know that all four of our storied blends are NOW re-stocked and available for sale at NYPC Tobacco Blends at www.pipesandcigras.com. As many of you know, if you have attempted to order at least two of our wonderful NYPC Tinned Tobacco Blends from pipesandcigars.com in the last 9 months or more you would have found that they have been continually out of stock which was cause for much frustration. 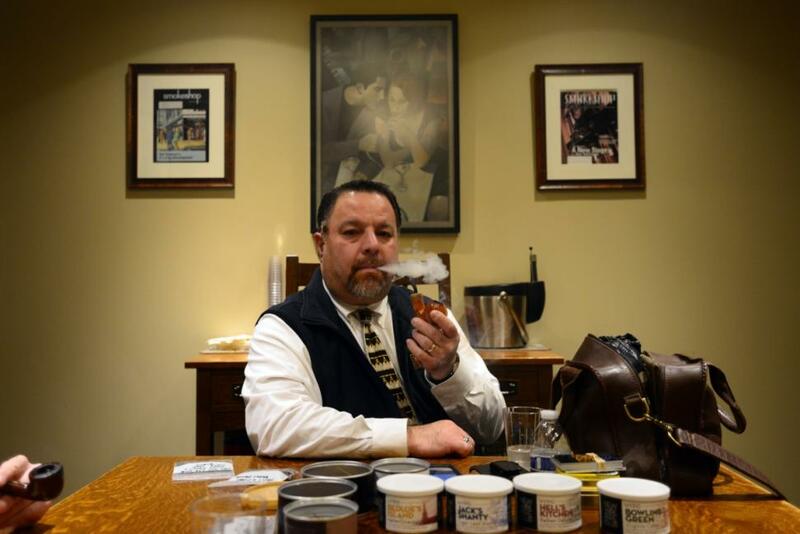 Our dear friend and master blender of our tinned tobaccos, Russ Oulette, has worked very hard to meet the demand for the blends however, due to his new role and ever expanding responsibilities with pipesandcigars.com, it became increasingly difficult for him to sufficiently meet that demand and supplies have suffered. This is especially true of the two pressed Virginia blends which are the most time consuming to produce. My heart-felt THANK YOU goes out to all of you for your generosity throughout 2013. Again, may you all have a Wonderful, Prosperous, Happy and Healthy New Year and I look forward to seeing you at our meetings and sharing many bowls with you through 2014! FYI... Food For Thought... I am sure you are well aware of the change in our relationship with Florio's while we were meeting there. Effective with our February 2010 meeting, a $10 per person cover charge was imposed to use the upstairs cigar lounge. Payment of this fee enabled us to continue to use the lounge for our monthly meetings andwas collected by the waitress when you entered thelounge. The fee was for use of the cigar lounge only and did not go to the waitress. Please note that the main complaint from Florio's management was that the waitress was not sufficiently compensated (tipped) for her service, so please, especially now that we are meeting at a new location, let us heed this message at our new venue, Circa Tabac and I urge you to please tip accordingly as you settle your food and drink tab at the end of the evening. It will go a long way towards securing our invitation to return. Circa Tabac has made every effort to ensure our comfort so let's please remember to tip accordingly. This e-mail message, including attachments, is confidential, is intended only for the named recipient(s) above and may contain information that is privileged, proprietary, or exempt from disclosure under applicable law. The unauthorized use, dissemination, distribution or reproduction of this e-mail message, including attachments, is strictly prohibited. If you have received this message in error, or are not an intended recipient, please immediately notify the sender and delete this e-mail message, including attachments, from your computer. Thank you.